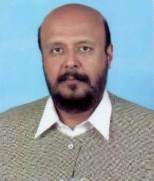 Rais Muhammad Mehboob Ahmed son of Sardar Rais Ghazi Muhammad was born on October 12, 1964 at Multan. He is a Matriculate. He served as Chairman, Zila Council for two terms during 1991-93 and 1997-99. An agriculturist, who has been elected as Member, Provincial Assembly of the Punjab in bye-elections held on August 22, 2013 against the seat vacated by Makhdoom Khusro Bakhtiar, who had won both National and Provincial seats and had opted for National Assembly seat. He has visited UK and Dubai.